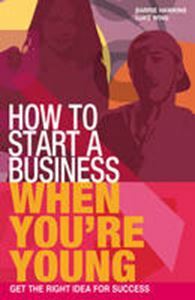 This book addresses all the issues that might face a young would-be entrepreneur and inspire them. It will help the reader understand the options which are available to them and come up with a business idea that will work. It includes a huge range of suggested business types and start-up ideas, along with real-life testimonies from young people who have set up successful businesses. Full of examples and tips, it will provide plenty of ideas for things to go away and do now.